Multani Mitti acts as hair cleanser, which absorbs the toxins from the scalp and reduces toxin formation. Removal of the toxins increases the nourishment to the hair roots, which ultimately increases hair strength and prevents hair fall and hair loss. Its mineral composition makes the hair strong and radiant. It also helps to reduce hair damage and promotes hair growth. Multani Mitti provides following benefits when applied over the scalp. 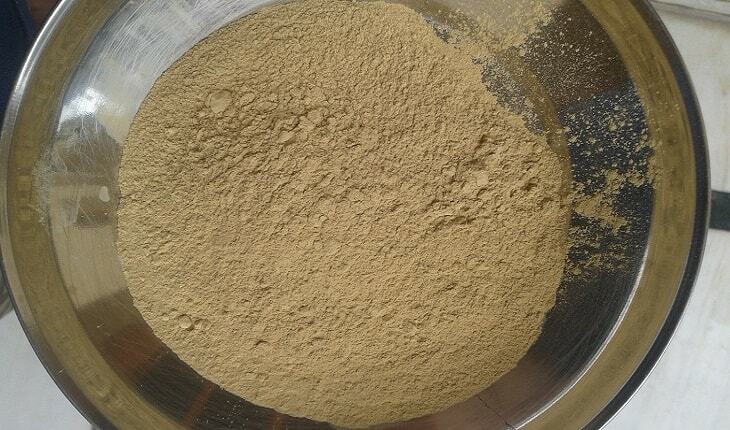 Multani Mitti reduces hair fall and prevents hair loss. It also increases hair growth by removing toxins from the hair roots and improving circulation and nourishment to the scalp skin. It makes hair radiant, silky, and strong. It prevents hair damage and split ends. It works in both conditions – dry and oily hair along with other ingredients. It acts as a base and increases benefits of other ingredients keeping its own benefits intact. It is also helpful for removing dandruff from the scalp. It reduces burning sensation, itching and other scalp problems. People with excessive sweating in head can also get benefits from it. It reduces itching and brings cooling sensation on the scalp. Here are different hair packs using Multani Mitti, which can be applied to achieve the desired results according to type of hair. Prepare a thin paste using Olive Oil and above ingredients. Apply it on the scalp and hair roots and leave it for 30 minutes. Wash off hair and scalp after 30 minutes. Immediate effects appear after using this pack for hairs. Prepare a thin paste using lemon juice and other ingredients. Apply it on the scalp and hair roots and leave it for 30 minutes. Wash off hair and scalp after 30 minutes. It should be repeated 2 to 3 times a week for a 3 months. Multani Mitti has been the most common ingredient of those age-old tips for making face packs and hair masks, which have been passed over generations. Multani Mitti works as a cleanser, and exfoliates and nourishes the skin. This regular mud-like product has truly imbibed in itself all the goodness of mother earth, so it helps your skin appear healthier and younger!